The first item is a dropdown populated with the declarative data sources on the page. 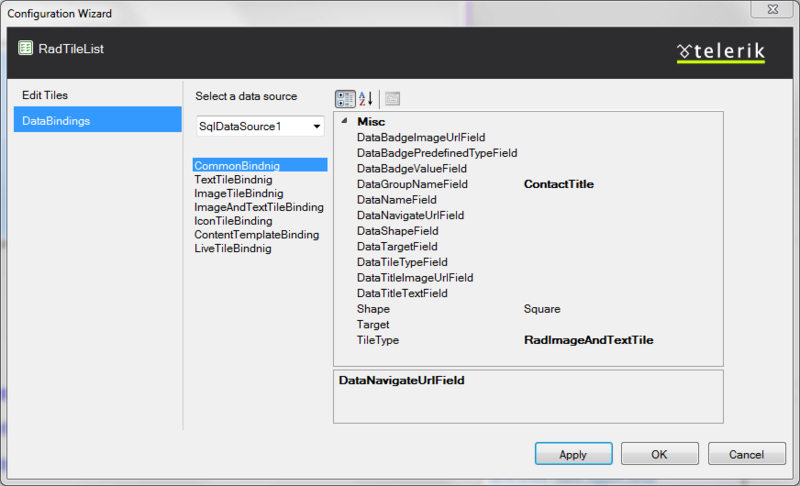 Once a data source is selected (or created through Visual Studio's wizard)the two lines below it let you configure or refresh it. They are both features exposed by Visual Studio. TileRows: the number of rows in which tiles will be distributed. Defaults to 3. Width: the width of the control. If there are more tiles than the designated width a scrollbar appears by default. Height: the height of the control. Typically, RadTileList calculates it based on the number of rows and you need not set it. The first tab on the left lets you edit the static tiles in the control. The buttons in the middle section let you edit the list below them and the pane on the right exposes the properties of a selected tile or group. 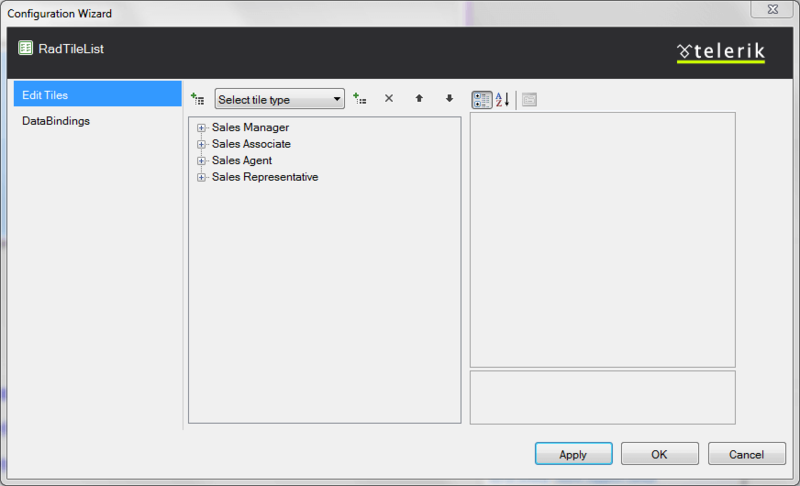 In the databinding settings tab you can, once again, select an existing datasource, or create a new one.Below the dropdown the sections that define the databinding settings are exposed. 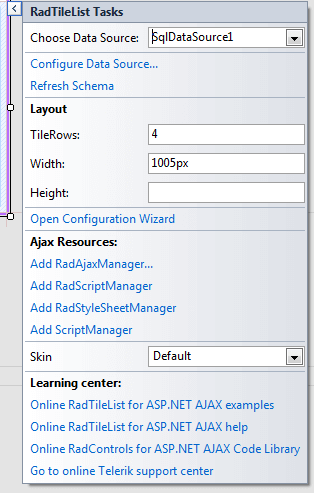 One for the common settings and one section for each tile type with it specific options.The properties exposed by each settings group can be modified in the right pane. The last section of the Smart Tag provides several links navigate you directly to the RadTileList online examples, help, or code library.